Bonaventure Senior Living is a Salem, Oregon company that manages senior living communities throughout the western half of the United States. Founded more than a decade ago, Bonaventure Senior Living has a mission to provide high-quality living accommodations to seniors of varying needs, from independent living to memory care. Bonaventure Senior Living has grown steadily in the past 10 years, with locations in six states. What sets Bonaventure apart is its commitment to customer service. Staff members at the company’s 35-plus locations are chosen for their integrity and honesty, and team members are encouraged to pass those values on to their residents. Heading up operations at Bonaventure Senior Living is Kelley D. Hamilton, chief executive officer. Hamilton joined Bonaventure in 2001, following a successful career as a leader in real estate focused on senior housing. After Hamilton joined the team, Bonaventure Senior Living began its growth, expanding into multiple states and gradually becoming one of the most respected names in senior housing. Hamilton also oversees all of Bonaventure’s construction projects, always looking for the next great location for a Bonaventure Senior Living community. His experience in large-scale construction projects has helped Hamilton take Bonaventure Senior Living to the next level, as well as represent the communities’ construction firm in the various communities where properties are located. By serving on professional boards and networking with others in the industry, Hamilton is able to leverage deals that help Bonaventure expand cost effectively. Each Bonaventure community is run by caring staff members who place a priority on providing the best care to each resident. By providing employees the support and encouragement they need to do a great job, Bonaventure Senior Living believes that positive, enthusiastic attitude is passed on to residents and their families. Bonaventure Senior Living consists of more than 4,500 individual units, with varying levels of care at each community. 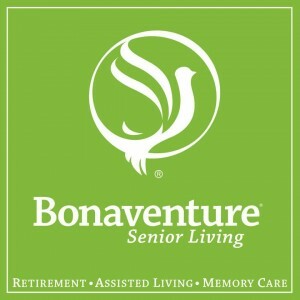 The company’s trademarked term, Retirement Perfected, exemplifies the care and dedication that Bonaventure Senior Living puts in place, including talented team members who embrace the mission to create an exceptional senior lifestyle. Because of this dedication, Bonaventure Senior Living has earned a stellar 96 percent satisfaction rate from surveys regularly conducted among current residents. At each Bonaventure Senior Living community, residents are encouraged to live life on their terms by making their own choices, giving residents and their family members a variety of options in the personalized care received. For retirees simply interested in a nice place to be around others, Bonaventure Senior Living provides independent living communities and active retirement living. Bonaventure’s Retirement Living communities give residents the freedom to relax in Bonaventure’s beautifully landscaped properties while still having the freedom to come and go as they please. Assisted living communities provide residents the additional care they need, while still encouraging independence. At Bonaventure’s memory care locations specifically designed for the needs of those with Alzheimer’s disease or dementia, families can rest assured their loved ones are receiving the attention and care they need, while still retaining their dignity. Each Bonaventure Senior Living community has a full suite of services to provide the optimum care to each resident, including scheduled transportation so residents can continue to live active lives. With delicious food prepared by executive chefs, Bonaventure Senior Living allows seniors to enjoy three great meals per day in a restaurant-style dining room. Each meal is made to order from fresh ingredients sourced locally whenever possible to ensure breakfast, lunch and dinner are top quality. Menus include a variety of daily and weekly specials and “Anytime Favorites” so residents always have exciting new culinary options. Perhaps one of the best aspects to being a part of a Bonaventure Senior Living community is the fellowship. Residents interact with each other and develop strong new friendships while participating in a variety of scheduled daily activities. Bonaventure Senior Living believes engaging residents in activities further enhance these bonds, giving them the chance to not only keep up an active social life, but have fun while doing so. To sample the Bonaventure Senior Living way of life, the company invites all seniors and their family members to visit any community for a complimentary lunch or dinner and personalized tour. A member of the Bonaventure Senior Living team will show visitors around and allow them to taste the gourmet meals prepared at that specific location. Bonaventure Senior Living communities always have fun events and activities scheduled and they welcome participation from any seniors interested in joining in the fun.